Why are people "baking", what is it, what does it do, what should I use and how do I do it? I am going to answer all those questions here. Baking is a technique that has been used for years in the drag community. It includes taking translucent or setting loose powder, applying it in a thick layer to your face and allowing it to sit for 5-10 minutes. When you do this, the heat from your face sets the makeup you are wearing and fills in fine lines and wrinkles It creates a smooth and flawless finish that lasts longer. When baking you need a blending sponge, a loose powder brush and some loose powder (either setting or finishing). you don't need much. What's the difference between translucent and setting powder? click on this link to get this question answered. To recap, the difference is that setting powder is often tinted, is a larger powder meant to keep everything underneath from moving and can be heavier, where a finishing powder is very fine and silk-like and is made to fill in fine lines and wrinkles and give you an airbrushed and poreless look. Finishing powder isn't typically worn every day and is always the last step AFTER setting powder and setting spray. So how does this relate to baking? You can use either the setting or finishing powder to bake, but your results will be different depending on what you use. The light nature of a finishing powder definitely gives a more pore less look, and is ideal for someone with aging, wrinkled or textured skin. The Setting powder may be to heavy and exaggerate the look of fine lines and wrinkles for someone with more mature skin. However if you have elastic and smooth skin, a setting powder will likely keep your makeup on longer and truly give you that "awake" look. What does baking your makeup do? When you bake your makeup you are basically hyper-setting your complexion to make it look brighter and to give an extra layer of protection from creasing and wear. It also prevents oil from breaking down your makeup or ruining it. It often gives that awake and fresh look. 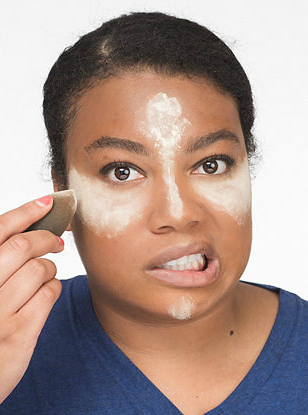 How do you actually bake your makeup? First apply your primer, foundation, and concealer. Some people do baking as a last step, but that is up to you. However you need your complexion on before you bake. So do your primer, foundation and concealer. Get all blended. Now using a blending sponge pick up a heavy layer of your loose powder. Then Place it on the parts of your face that you'd like to "bake". This is almost always done under the eyes, but also done on the chin, bridge of the nose and forehead. Sometimes also on the highest part of your cheekbones (but only on the cheekbones AFTER highlighter has been applied). Once you've placed your powder wait for 5-10 minutes and the powder "bake". The idea is that the heat from your face is combining with the powder to compound it and powerfully set and brighten your makeup. While doing this you can move onto an unrelated activity, or do your lipstick or I like to do my eyes while baking, because the excessive layer of powder under my eyes usually catches all of the fall out from my eye shadow. Once your time is up use a powder brush to brush off any of the loose powder under your eyes and around your face. Literally "wipe" it off with the brush and tap the excess off the brush before swiping again. It's that simple. Apply it, wait, brush it off. Done. What to use to bake, I am going to give you my favorite setting and finishing powder specifically marketed for baking, but there are a lot of great choices. Check out this link for more options. 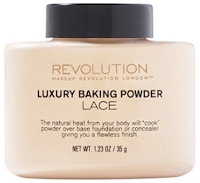 The Makeup Revolution Baking Powder has a silk like texture, and is similar to a finishing powder. It is specifically marketed for baking and is a little heavier than your typical finishing powder, but not as heavy as a setting powder. I seriously love it for baking, and it's a steal of a price. It also comes in four shades and it's pictured on the left. 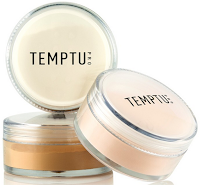 The Temptu Invisible difference Finishing Powder is what I use in my pro kit and is a dynamite finishing powder. Light weight and perfect for mature skin. pictured on the right. 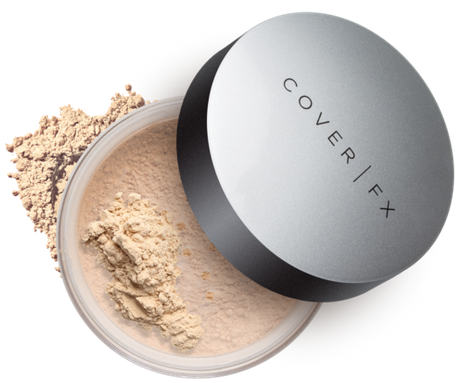 Last is the Cover FX Perfect Setting Powder which comes in a light-medium shade as well as a deep tonal value, but is mainly translucent. It's a great setting powder and works exactly how you want it to. It is a little heavier than finishing powder, but not to heavy or chalky. Pictured on the left.